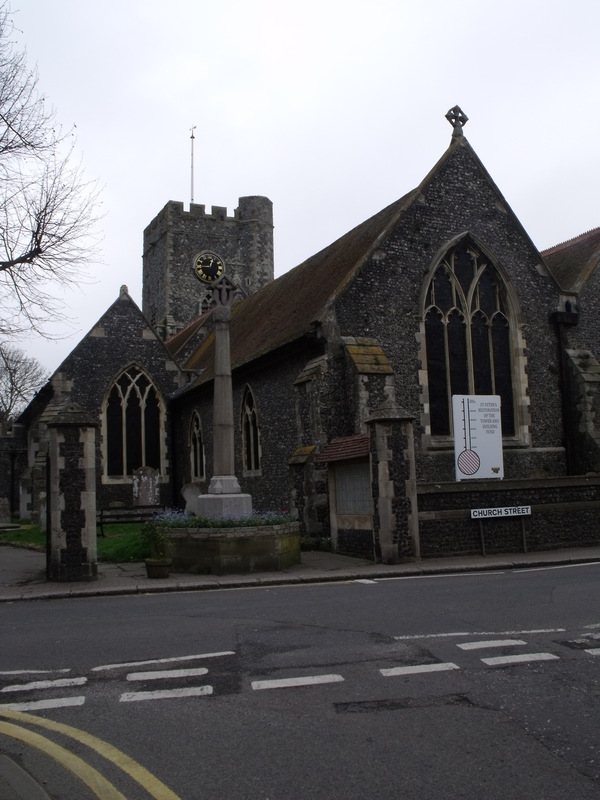 A large church on the outskirts of Broadstairs. There are some considerable problems with the tower and the base of it is cordoned off as bits are falling off. Outside is a ‘thermometer’ to indicate the level of fund raising towards essential repairs. It is a long time since I have seen one of these outside a church. The external notice board says, ‘Welcome to this historic Village Church’, however there is not much of a welcome as it is firmly locked! This is quite common in Thanet for some reason. I can’t imagine that this part of Kent is a hot bed of Church crime. There are some observations to make here. 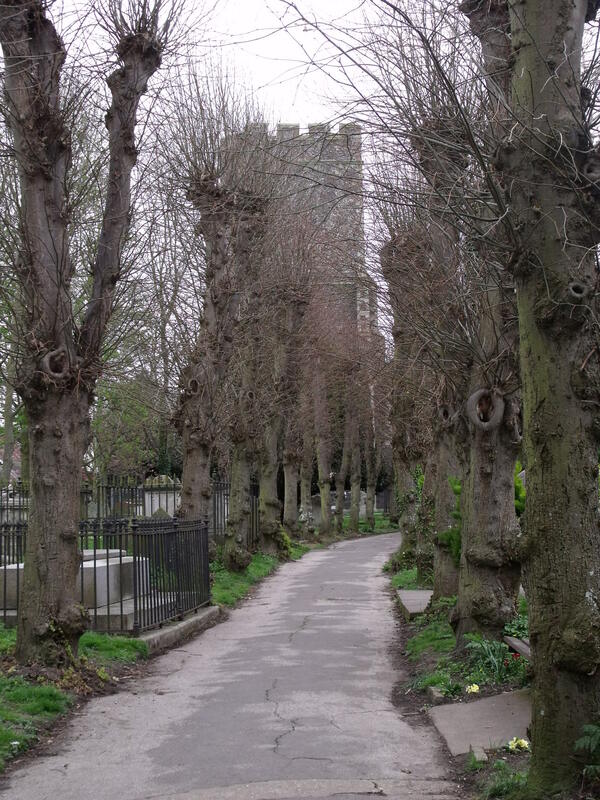 Firstly, here is a church which wishes to raise money for repairs. I would have thought that opening up to visitors might help in this as well as enabling the local community to ‘own’ the church more. St. Peter’s is the centre of the village. Also, there is a town trail laid out around St. Peter’s in Thanet with a board right outside the church. Very much a wasted opportunity and I have to rate it as very poor. 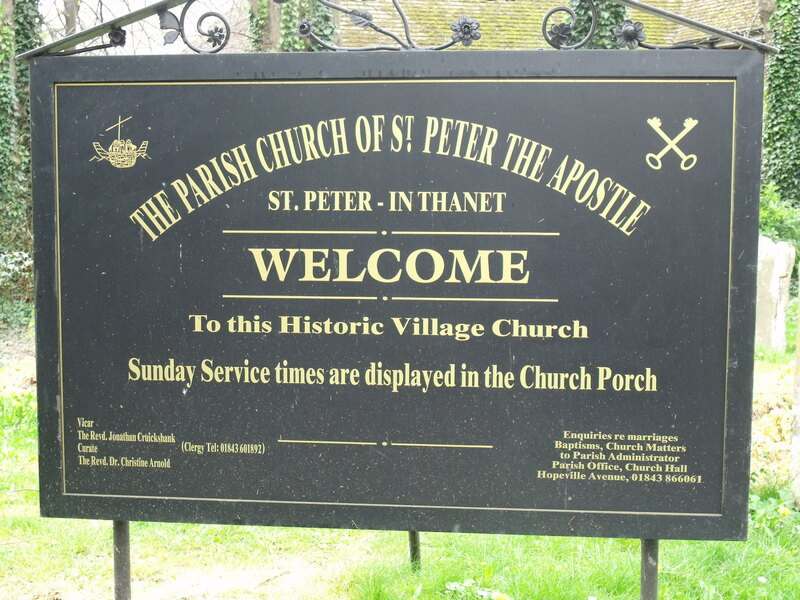 The church website can be found at http://www.stpeterinthanet.org.uk but it has no visitor information.